(January 31, Colombo, Sri Lanka Guardian) ‘Networking for Rights’ says in a statement that www.lankaenews.com office has been set on fire around 2.00 am on January 31. A short news item posted on the site says that " About an hour ago, the LeN office premises was set on fire, NfR said in a statement. At about 2.00 am, a group of unknown persons had broken into the premises and set it on fire. By now everything that was inside the building has been destroyed. 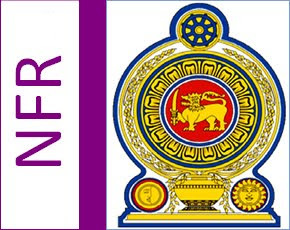 NfR says its sources in Colombo confirmed that office building was on fire and no one form the staff has been able to reach the office as it could be dangerous. LeN is a leading Sinhala language website which has come under various threats and attacks since the presidential election January 2010 for its support for common opposition candidate former Army commander Sarath Fonseka. It's editor Sandaruewan Senadeera had to leave the country for his safety after continuous threats to his life but the website was run form Colombo by a dedicated group of journalists. Some of the journalists working for the web site too, have received various threats in recent times. Prageeth Eknaligoda, the journalists and cartoonist who disappeared a one year ago on 24th January 2010 was a freelancer with the web site. Siyatha, an independent TV and radio station which was located in a high security area in Colombo was set on fire on 30th July 2010 around 1.30 am causing millions of rupees of damage to the net work. According to the owners, a 12 member gang entered the office and set it on fire. So far no arrests have been made and no investigation report has been made public. NFR says it condemns this dastardly act as a yet another crime against media freedom in Sri Lanka and holds the government of Sri Lanka responsible until the perpetrators are brought to the book.